Ultrabooks are basically lighter, more portable laptops with excellent battery life. Sure, in a few years the lines between notebook and ultrabooks might become blurred since everyone wants to make their gadgets lighter and more compact. As of now, however, there are certain criteria to be met before a laptop computer can be called an ultrabook. 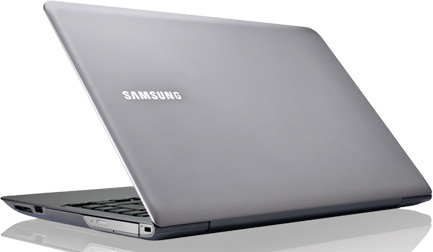 You can read more about laptops vs. netbooks vs. ultrabooks and get a clearer idea about the classifications. Basically, it should run on a low voltage Intel processor, have a battery life of at least 5 hours, should boot up quick and should be no thicker than 0.85 inches. Ultrabooks don’t come for cheap though, the range starts at around Rs. 50,000. If you’re in the market to buy one, here’s our list of the best Intel Core i5 3rd generation ultrabooks under Rs. 55,000! Sony’s ultrabook offering is the least expensive amongst the 5 best Intel Core i5 3rd generation ultrabooks we’ve listed out, but it also has the smallest screen at 11.6 inches. It has a great finish and is actually the most portable due to the smaller screen, if that’s what you’re after. There’s just one USB 3.0 and one USB 2.0 slot though, so there isn’t room for attaching many devices. A 32 GB SSD is included in addition to a 500 GB HDD so the OS can be booted up really fast. Battery life claimed to be 5 hours, which is surprising considering there’s hardly any high performance components in there, the competition has better battery backup. But for the price, you can’t really go wrong, here are the specs. The Acer Aspire Timeline Ultra is another good looking offering that you should consider if you’re out to get an ultrabook. It’s got a nice 14 inch screen, 2 USB 3.0 ports and claims a battery backup of 8 hours! Rest of the internals are pretty much the same as the Sony offering, but it has a backlit keyboard and a DVD writer. The SSD included is just 20 GB though, and it might be disappointing to some. 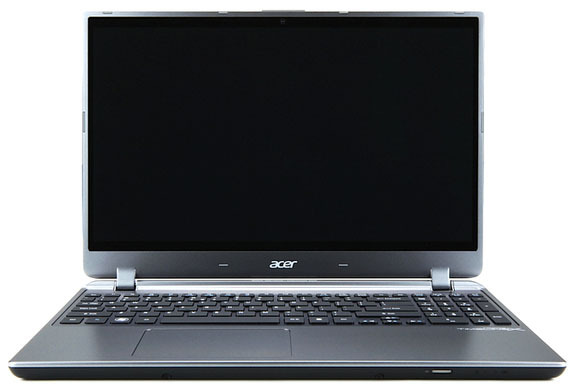 At just under 2 kg and 20.7mm thin, the Acer Aspire Timeline Ultra is mighty portable too. Also, the RAM can be expanded only upto 6 GB. Toshiba is well known to make durable devices with a great finish and the Satellite U840-X4310 doesn’t disappoint in that regard. With pretty much the same specs as the Sony ultrabook mentioned above and more expansion slots (2 x USB 2.0 and 1 x USB 3.0), the Satellite still claims an impressive battery life of 7 hours. There’s even room to plonk in more RAM, upto 8 GB in fact. The only inferior feature is the webcam, which is 0.3 MP, so Skype addicts take note. Toshiba has provided a backlit keyboard as well. The Lenovo Ideapad U410 packs in a dedicated GPU which trumps the integrated graphics from Intel, so if you’re looking to do some light gaming, it’s a good choice. With the same processor and a reasonable amount of RAM, you can play games at low-medium settings. It’s also got 3 USB ports, 2 of USB 3.0 and 1 of USB 2.0. Unfortunately, the IdeaPad skimps on a few other things. The RAM cannot be expanded, the included OS is Windows 7 Home Basic and there’s no backlit keyboard. It isn’t a bad piece of hardware by any means, but is a tad bit expensive considering the competition. 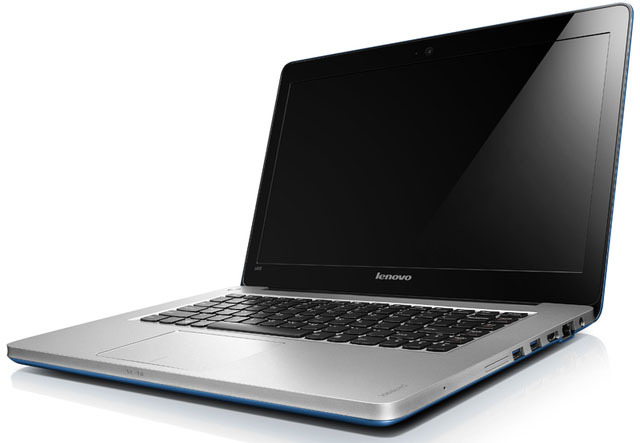 Those were the 5 best Intel Core i5 3rd generation ultrabooks according to us! Drop us a comment about what you think about the list or tell us if you have any queries. Sir,I need to buy a laptop which is high in graphics,good clock speed,fast in internet and for learning hacking too.Which is under Rs.35000.Thank You in Advance. secondly how good are they if u want to run…games demanding high graphics say Call of Duty or Max Payne…. and thirdly how come HP doesnt feature above in ur list…. At the time of writing HP didn’t have an offering in that price range. You will be able to play modern games at medium ish settings provided the computer has a dedicated GPU. However it is rare for ultra books to be entirely gaming focused, the specs required to run them at high comes at an equally buyer cost. hmm rahul u answered me on game front….but missed on security front of the ultrabook and secondly rahul….can you explain me the difference between dedicated GPU and integrated GPU…and which one is better among Radeon, Nvidia and intel HD grapics 4000…. Go for the HP Envy 4 Sleekbook, it has a 3rd generation Core i5 processor while the latter has a 2nd generation. I’m looking for laptop/ ultrabook near to 1.5 kgs in weight, around 40k in price, screen size 12.5 to 14 inches, battery atleast 3.5 hrs. I will primarily be working on word, excel, internet research, powerpoint. Durability and reliability is important so was focusing on brands like ASUS. Open to Mac though. Please advise.am interested in a Sony laptop 13 ins weight below 2,KG and price below Rs 55000 which models would you recommend with pros and cons? 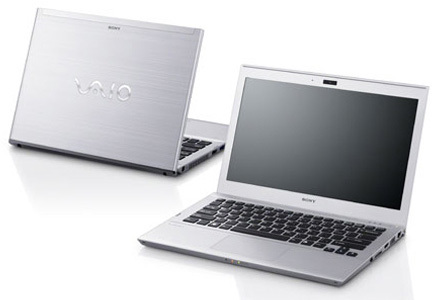 Go with Sony VAIO SVE14A15FN Laptop (2nd Gen Ci5/ 4GB/ 640GB/ Win7 HP/ 1GB Graph) – Rs: 56k. Weight 2.3kgs. i am planning to buy a new laptop/netbook/ultrabook, all options open, can you suggest which one, my requirements are price range below 40k, smaller screen size, good battery, above all the performance, i will be working on heavy softwares like visual studio, and other heavy programming IDE’s (Integrated development environment). portability would be good as me being a college student, would mostly be carrying and working in campus all day. I suggest you go for the Sleekbook. Sorry i wrote Gaurav instead of Rahul. hii..i am planning to buy an ultrabook/laptop… My typical use will be running software like MATLAB and other IDEs(integrated development envt). Do I require a system with dedicated graphics?…I have shortlisted 3 models 1.sony vaio sve14a15fn 2.HP ENVY 4-1004TX 3.SAMSUNG NP530-U4C-S01IN. Sony is 2.3kg..prefer the weight to be less than 2 kg. Which should i go for?